In part 1 of Debunking Neuromyths and Applications for Online Teaching and Learning, we reviewed the neuromyths and neuro-facts about learning styles, intelligence, and emotions, and their corresponding online teaching applications. Here is part 2, where we will review the neuromyths and neuro-facts about sleep, memory, attention and creativity, and their corresponding online teaching applications. #4 About sleep: “When you sleep, your brain shuts down.” Is this statement a myth or fact? Danger of this myth: It tempted students to procrastinate and skip sleep before important test to cram in missed study time. Teach students the importance of sleep: sleep time brain activity enhances learning. Teach students test preparation secret 1: spaced practice, retrieval practice, interleaving practices, way before the test day. Teach students test preparation secret 2: review thoroughly (practice retrieval, teach others, explain it, etc. ) the night before test day. Teach students test preparation secret 3: have plenty of sleep regularly, and especially the night before the test day. Teach students test preparation secret 4: Eat balanced healthy food regularly, and on test day as well. Teach students test preparation secret 5: Calm down and have a positive attitude. You are bound to perform at your best! #5 About memory: “Memory is like a container, an assembly line, or a recording device.” Is this statement a myth or fact? The danger of this myth lies in the assumption of its accuracy. Why is it important to debunk this myth? It helps liberating both instructor and students to focus on improve the learning environment and malleability of memory. Encourage/motivate students’ effort to enhance memory. Encourage instructors to provide multiple means of content presentation for strengthened memory connections. #6 About attention: “The brain can multitask while learning, especially Gen Z”. Is this statement a myth or fact? The danger of this myth lies in wasting time and low productivity during study. Content presentation in online learning needs to be in modular format to avoid cognitive overload and increase focused attention. Offer time management tips to students. For example, use physical or digital devices, such as Pomodoro Timer, to help students concentrate on a focused study session. #7 About Creativity: “Creativity is primarily a personality trait and can’t be taught.” Is this statement a myth or fact? It’s a myth. Neuro-fact regarding creativity: Creativity can be practiced and reinforced, just like other cognitive skills such as critical thinking (Miller, 2018). Koestler (1964) proposed a broader definition of creativity: the ability to make connections between two previously unrelated ideas or contexts. The danger of this myth is the mission-impossible syndrome caused by self-denial of creativity, for both instructors and students. If instructors do not view themselves as creative, it is very unlikely for them to encourage creativity in their teaching. If the students do not view themselves as creative in the subject area, it is very unlikely that they will attempt to produce creative work. As an instructor, model creativity in your mindset and teaching practices. Need help? Read these eight steps to becoming a more creative teacher. Think of creativity as a skill. As an instructor, openly share your original ideas with the class. Model what it looks like to be open to feedback and bounce ideas off of one another. Practice generating more ideas or read the 18 idea-generating techniques or read these 19 ideas to promote creativity in your class. Feel free to contact your Ecampus instructional designer if you would like more information on any of the above topics. Enjoy your online teaching. * This blog was inspired by Online Learning Consortium 2018 workshops on Neuro, Cognitive, and Learning Sciences, Bring Theory to Practice (Part I & Part II –new offering of part II coming again in March 11, 2019), facilitated by two amazing teachers: Dr. Kristen Betts and Dr. Michelle Miller. A big “thank you” to their passionate work in promoting the application of neuroscience in education! * Icons used in this post comes from the Noun Project. Catmull, E. and Wallace, A. (2014). Creativity, INC. Overcoming the unseen forces that stand in the way of true inspiration. London, UK: Townworld Publisher. Johnson, Steven. (2011). Where Good Ideas Come From. New York, NY: Riverhead books. Miller, Michelle. (2018). Neuro, Cognitive and Learning Sciences, Part 1: Applying Theory to Practice. Online Learning Consortium online workshop. Tokuhama-Espinosa, Tracey. (2018). 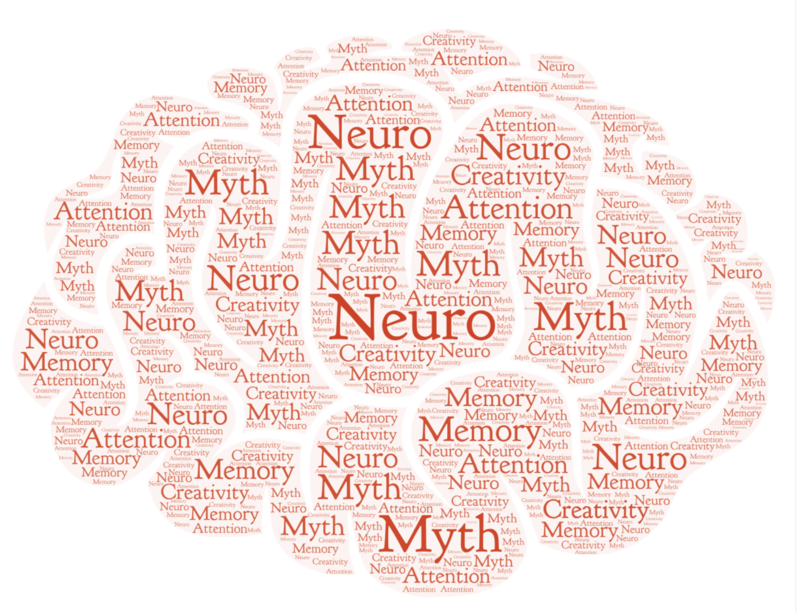 Neuromyths: Debunking false ideas in education. New York, N.Y. : W.W Norton & Company, Inc.